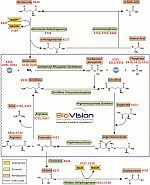 Interactive Pathways | Biovision, Inc.
A biological pathway is a series of actions with in molecules in a cell leading towards generation of certain product or a change in a cell. These actions in a cell can trigger the formation of new molecules, such as a fat or protein or the genes get turned on and off or spur a cell to move. BioVision’s assay kits can be used in various cellular pathway studies. Below are the different pathway diagrams with our kits numbers wherever applicable. Cholesterol is an extremely important molecule in biological process and is functionally important in membrane structure & as precursor of hormones, bile acids & Vitamin-D. Cholesterol synthesis begins with the transport of acetyl-CoA involving many other steps along with isoprenoid intermediates, mevalonate pathway intermediates producing prenylated proteins, dolichol, coenzyme-Q and the heme etc. BioVision is proud to offer a variety of tools for cholesterol metabolism research. Click on the interactive pathway to get more information. 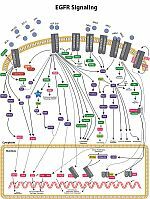 Stimulator of interferon genes (STING) is a cytosolic receptor that senses both exogenous and endogenous cytosolic cyclic dinucleotides (CDNs), activating TBK1/IRF3 (interferon regulatory factor 3), NF-κB (nuclear factor κB), and STAT6 signaling pathways to induce robust type I interferon and proinflammatory cytokine responses. STING is known to be a central mediator of innate immunity and has recently been the focus of intense research for the treatment of cancer and infectious diseases and as vaccine adjuvants. BioVision is pleased to offer STING ligands and inhibitors for your research in this area. Ferroptosis is a type of iron dependent programmed cell death after depletion of glutathione peroxidases activity. It features accumulation of lipid peroxides and is clearly distinguishable from other forms of regulated cell death. BioVision offers many tools for ferroptosis research. 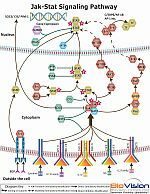 Notch signaling pathway regulates functions like cell proliferation, cell fate, cell differentiation, cell death and much more. This pathway is critical component in epidermal, neuron cell differentiation, cardiovascular development, adult brain function etc. It also involves the intracellular trafficking in the Golgi complex by cleavage of the extracellular side. BioVision is proud to offer variety of products for research in this area. Urea Cycle also known as ornithine cycle has series of biochemical reactions that converts toxic ammonia, generated from catabolism of Amino Acids to urea for excretion. 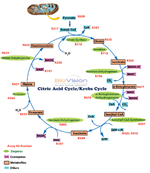 BioVision offers comprehensive assays to measure the urea cycle metabolites, enzymes, co-enzymes & co-factors. 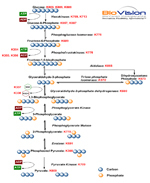 Pentose Phosphate Pathway, or hexose monophosphate shunt, is an alternative metabolic pathway that oxidizes glucose, and generates important building blocks such as NADP, and Ribose-5-phosphate. BioVision offers one of the most complete series of assays measuring various metabolites, cofactors, enzymes involved in this pathway. 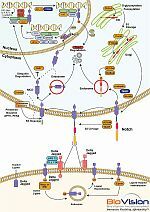 The Glyoxalase cyclic pathway, consists of two enzymes (Glyoxalase I and Glyoxalase II), is responsible for the detoxification against molecules involved in the glycation of proteins and DNA, such as Methylglyoxal and reactive aldehyde molecules. BioVision is thrilled to be the first company offering a complete set of assay kits dedicated for the study of the components of the Glyoxalase System. Immune CheckPoints consists of vast number of inhibitory pathways embedded into the immune system that are crucial in enabling self-tolerance and restraining collateral tissue damage during immune response against microbial attack. 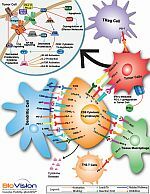 Here is an interactive Immune checkpoint pathway for BioVision’s products for CTLA4, PD-1, PD-L1, PI3K and many more. Creatinine, a natural waste, is produced during muscle metabolism or digestion of meat. Creatinine levels indicate proper kidney function: higher concentrations in blood are indicators of kidney damage due diabetes or kidney disease complications. 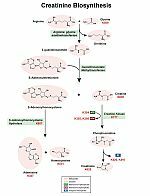 BioVision offers the most complete series of assays measuring various metabolites, cofactors, and enzymes involved in the synthesis of Creatinine. Epidermal growth factor receptor (EGFR) is a transmembrane protein that is activated by binding of its specific ligands. EGFR is crucial for ductal development of the mammary glands and plays important role in cancer, inflammatory diseases, monogenic diseases. Hence very useful target for many of the above mentioned diseases. The Hedgehog signaling pathway plays important role in cell differentiation by transmitting the information to embryonic cells. Concentration of various hedgehog signaling proteins differs in various parts of embryo; any malfunction of this pathway may lead to basal cell carcinoma in adults. BioVision provides many products for various targets in hedgehog signaling pathway. 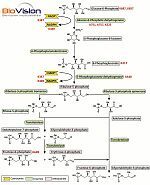 Glycolysis is a metabolic pathway converting glucose into pyruvate, the high energy released is utilized in the formation of ATP and NADH molecules. BioVision provides various metabolite, enzymes and co-enzyme to assay kits to expedite your research. This pathway involves many biochemical reactions used by all aerobic organisms to release stored energy through oxidation of acetyl-CoA derived carbohydrates, fats and proteins into carbon dioxide and ATP. BioVision provides assay kits to measure various metabolites, co-enzymes and enzymes for your research.